Will Foley and I, had the honor and privilege to facilitate an adaptive leadership workshop a few weeks back at the Army ROTC Leadership Conference. 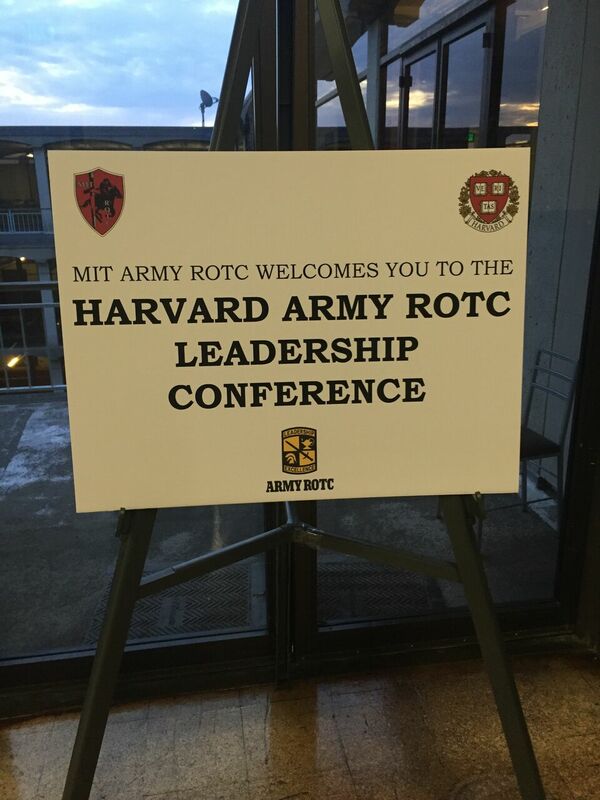 Over 70 Reserve Officer Training Corps (ROTC) cadets from 20 colleges in Massachusetts and New York participated in an ROTC Leadership Conference at Harvard University on 30 and 31 January 2016. 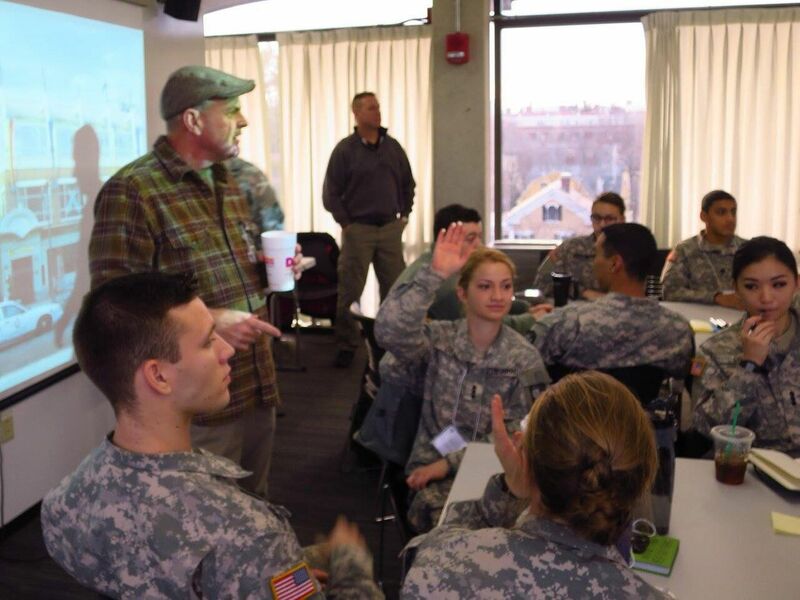 The conference brought together US Army War College Fellows and Army Advanced Civil Schooling students from the Massachusetts Institute of Technology, Harvard, and Tufts to facilitate small group discussion with the cadets on topics ranging from the Army Profession, Mission Command, and Ethics. Over the two days Will and I facilitated tactical decision exercises. 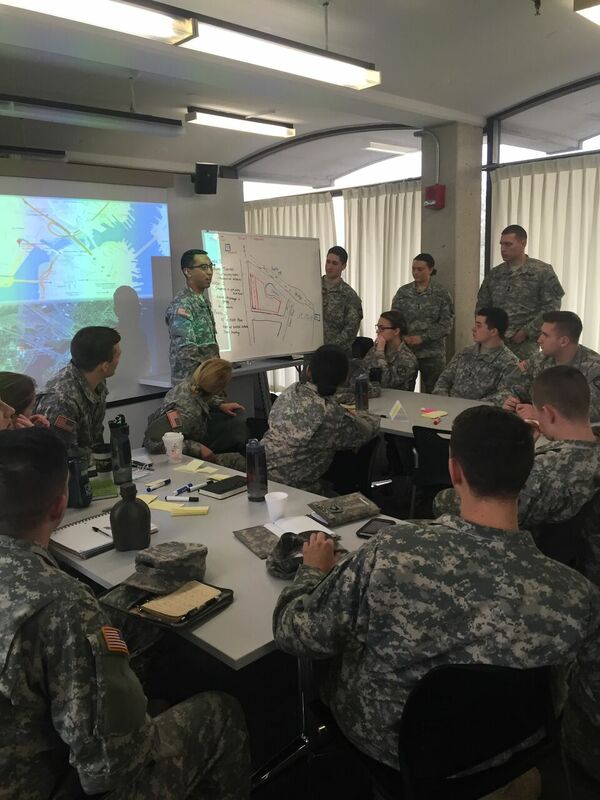 Day one we had the Cadets separated into small teams, organized either as a defending force (Blue Team) or an attacking OPFOR (Red Team), and conducted hasty mission analysis and course-of-action development as part of the competitive phase of the Adaptive Leader Program exercise. On day two we conducted a larger scale red team exercise. Red Team Cadets planned as if they were members of a local terrorist cell targeting a local landmark while Blue Team Cadets role played as coalition forces in order to develop response and defense concepts. 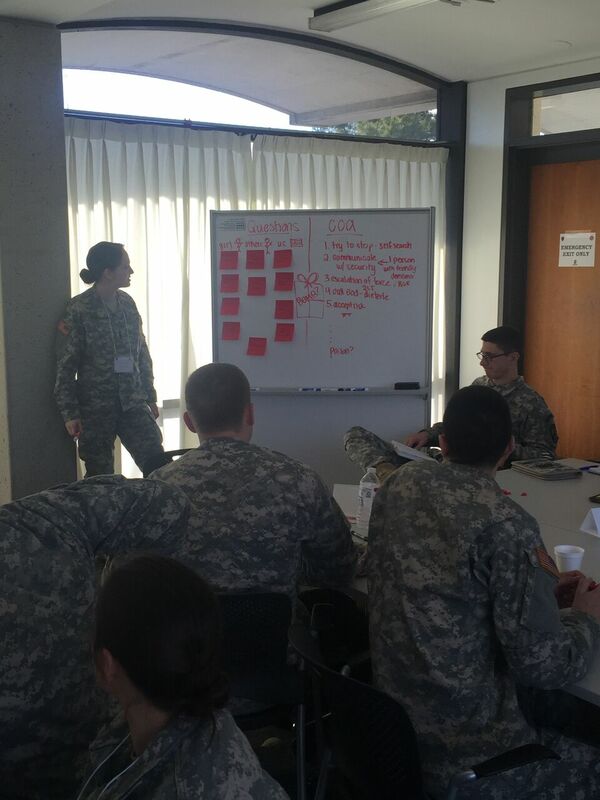 Cadets brief a scenario based concept of the operation during the Red Team v. Blue Team phase. The ROTC Cadre and both Will and I believe we accomplished these outcomes. William Foley USA (Ret.) is an adaptive leadership applications consultant and lecturer since 2013 with over 15 years’ experience as a US Army Special Forces Supervisor, Instructor and Operator. Will began his military service as an Infantry Paratrooper and Recon Scout with the US Army’s 82nd Airborne Division at Ft. Bragg NC. After earning the Green Beret in 2000 he was then assigned to a team in the 10th Special Forces Group stationed at Ft. Carson CO participating in operations throughout Europe, Africa, the Balkans and the Middle East during Operation Joint Guardian in Kosovo, Operation Enduring Freedom, Viking Hammer and Operation Iraqi Freedom. In 2005 he was assigned JFK Special Warfare Training Group (A) Ft. Bragg, North Carolina as an Instructor and Cadre Field Team Sergeant where he managed all aspects of Small Unit Tactics training for the Special Forces qualification course and was twice nominated for Instructor of the Year. Upon retirement from active duty, he then positioned with the Dept. of the Army as Supervisor and Program Manager for all of the Special Forces Qualification Course’s combat skills training. There he was instrumental in the development and implementation of outcomes and measures of effectiveness spearheading their Adaptive Leadership program of instruction and also supervised operations in support of the Special Forces Qualification Course’s dynamic Unconventional Warfare field training exercise Robin Sage.